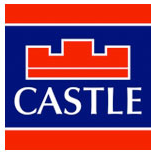 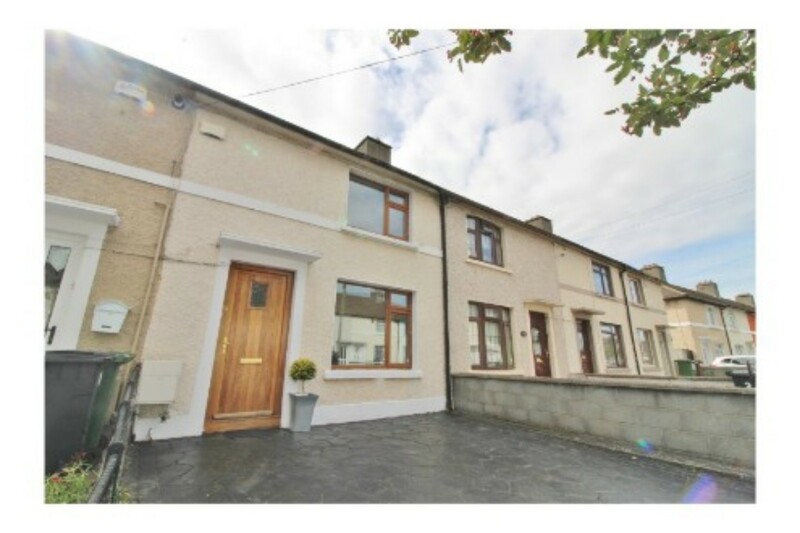 Castle Estate Agents are delighted to present new to the market 38 Stannaway Avenue, an attractive two bedroom terraced home which has been upgraded and modernised to a very high standard. 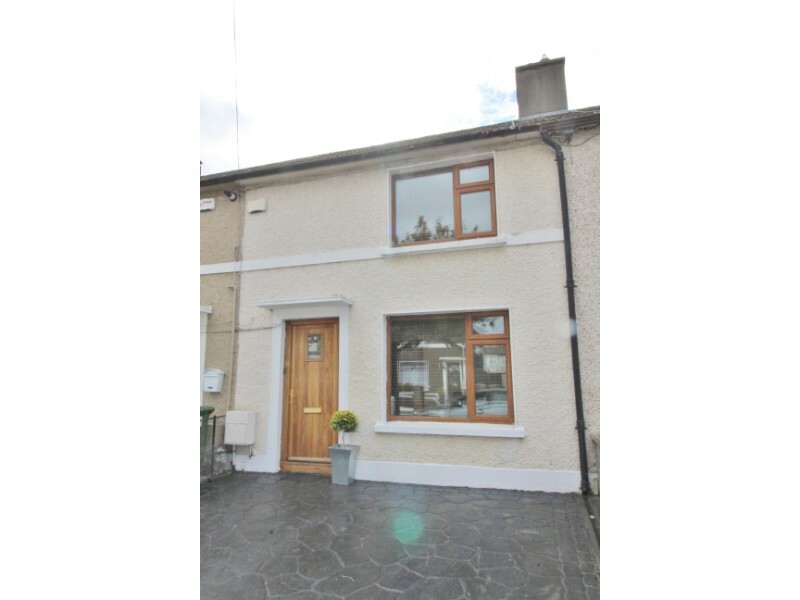 Beyond this attractive façade lies a home of distinction with well-appointed living accommodation, with extended kitchen /living area to the rear ,off street parking and a charming rear garden. 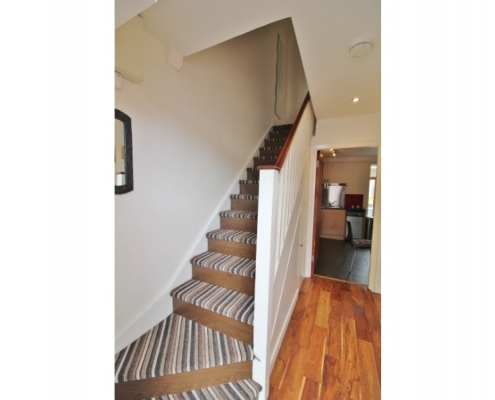 Presented to the market in excellent decorative order, No.38 is light filled, with a sense of space throughout. 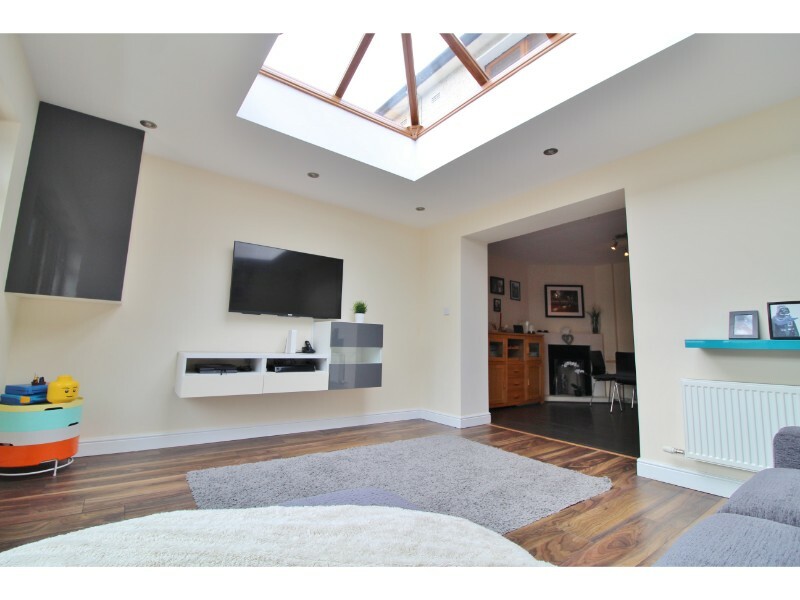 The extension benefits from glass ceilings which further adds to the sense of light and space throughout. 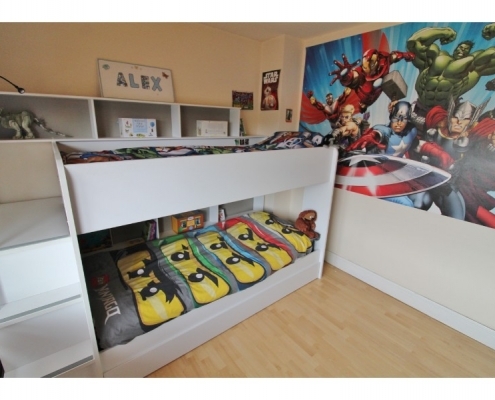 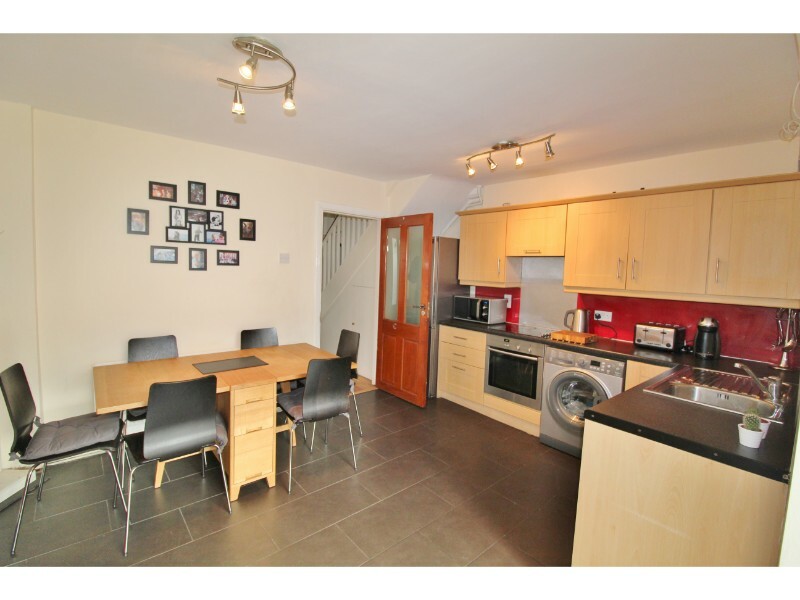 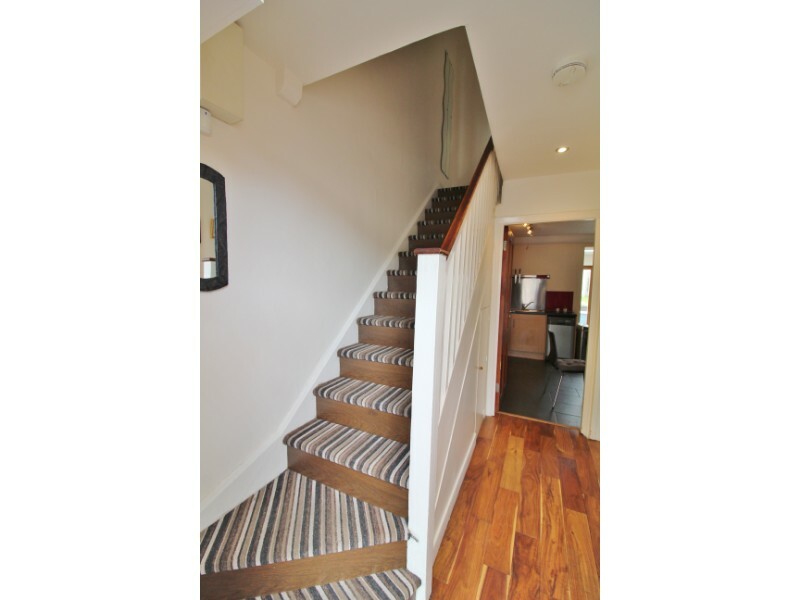 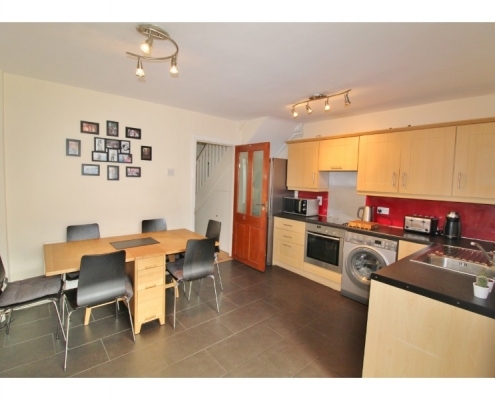 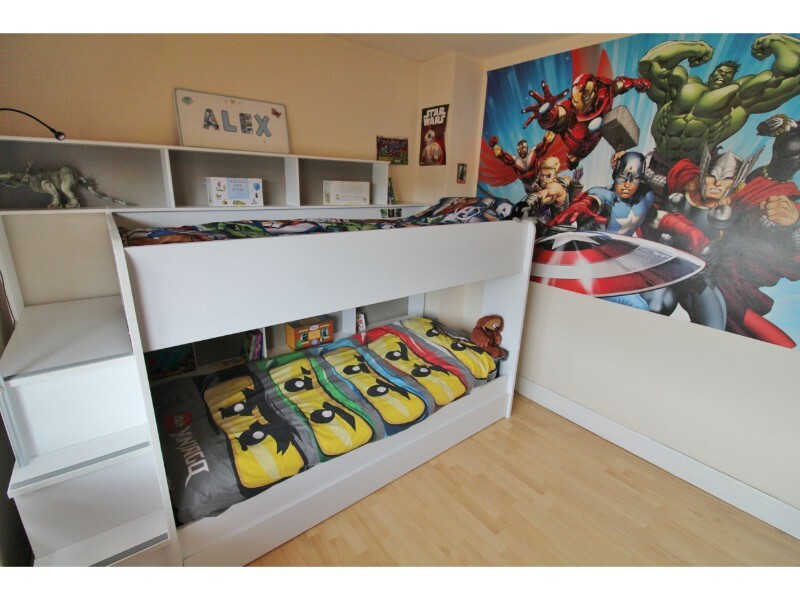 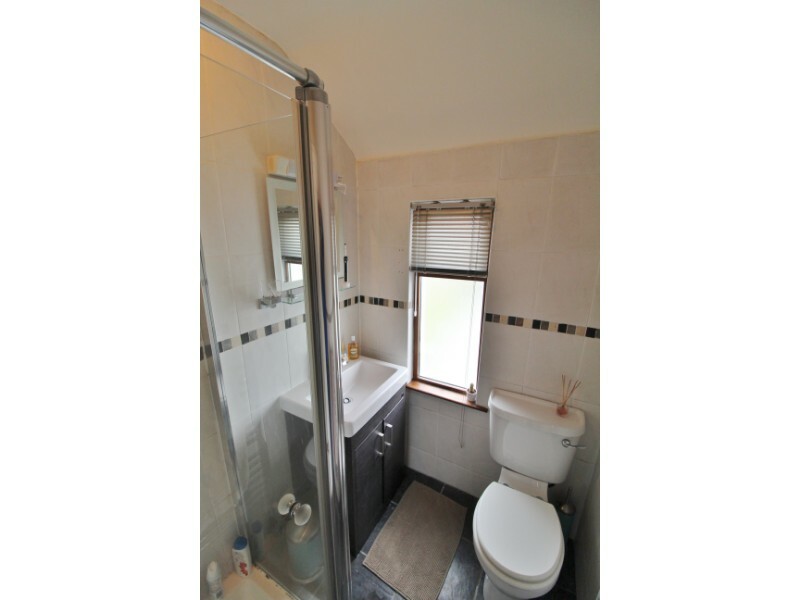 Upstairs there are two double bedrooms with a main bathroom completing the accommodation. 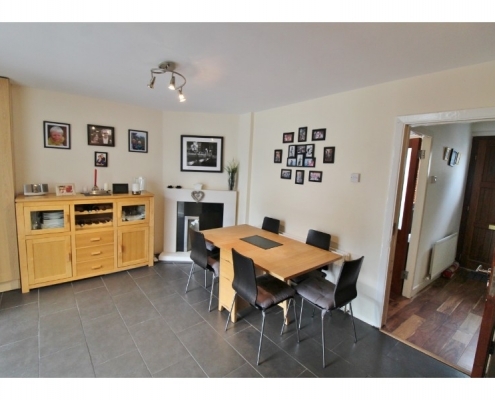 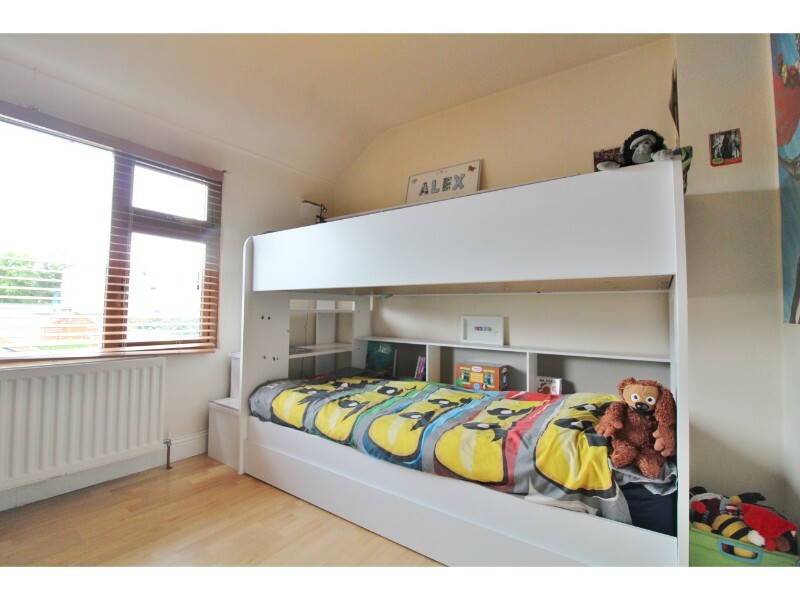 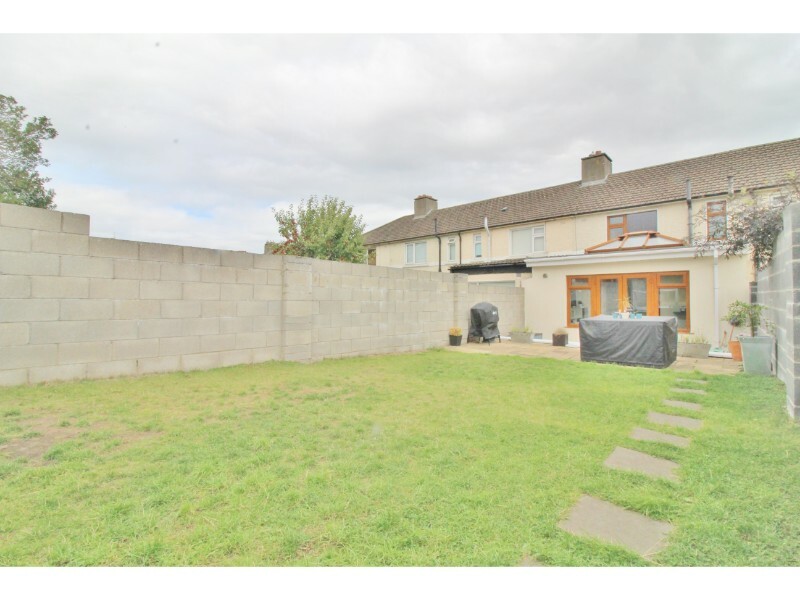 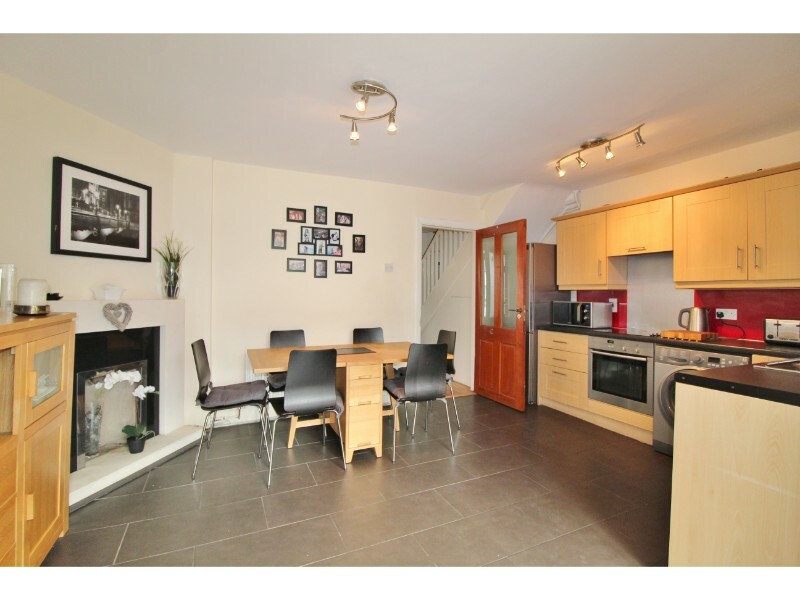 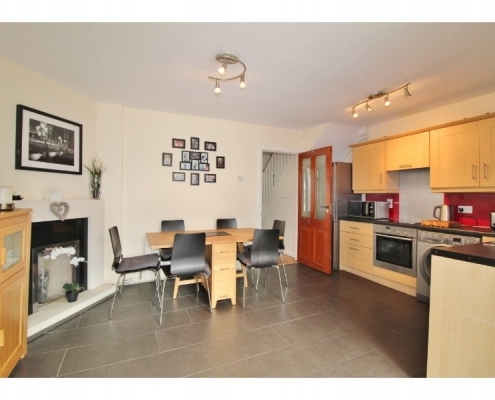 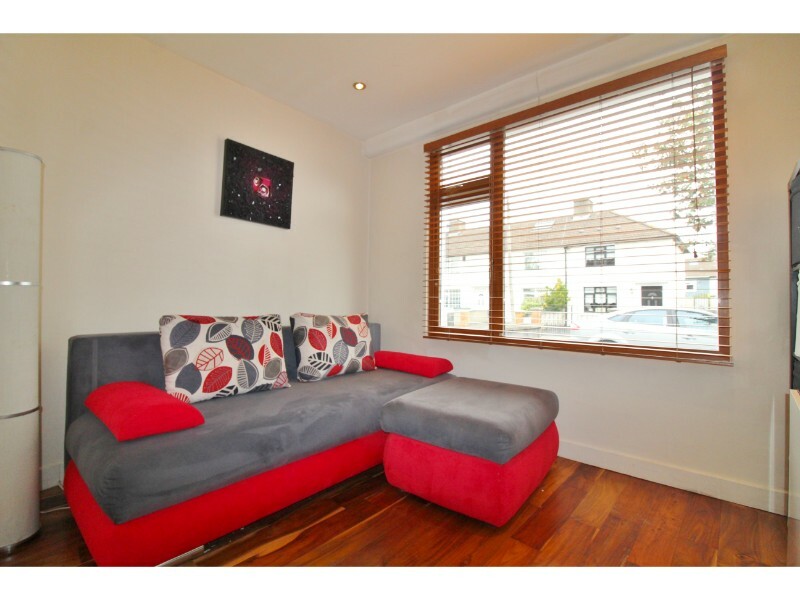 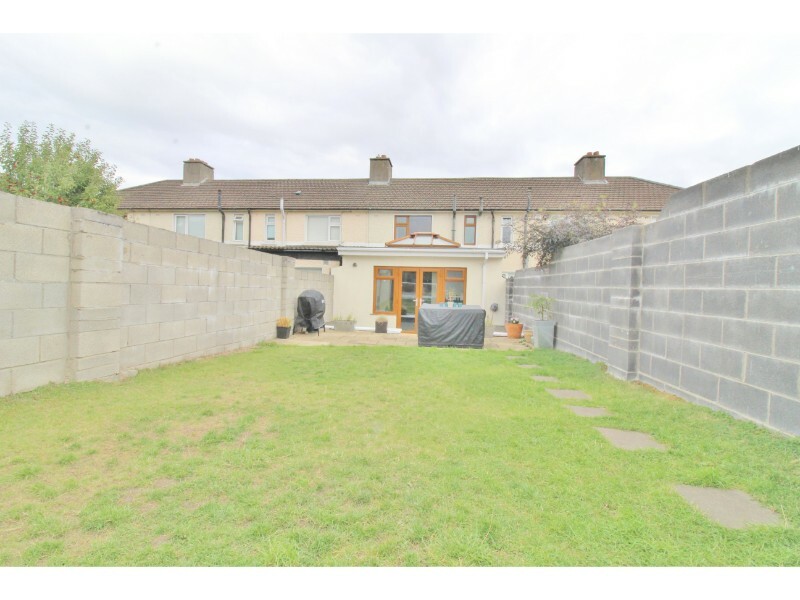 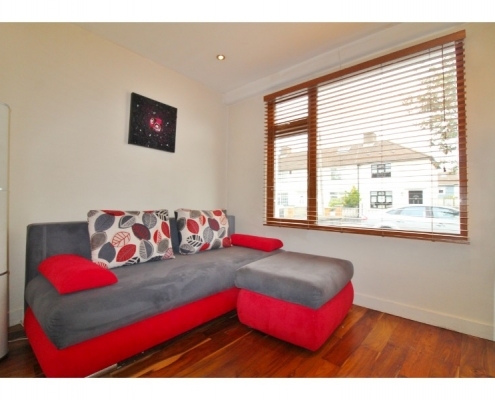 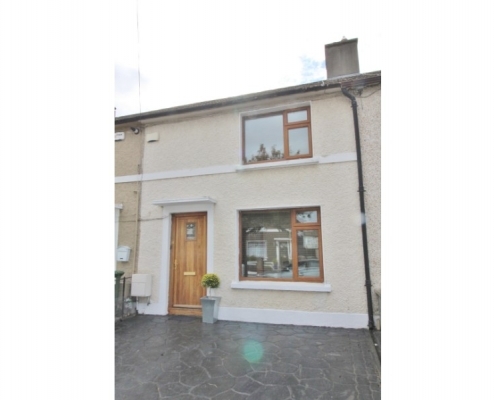 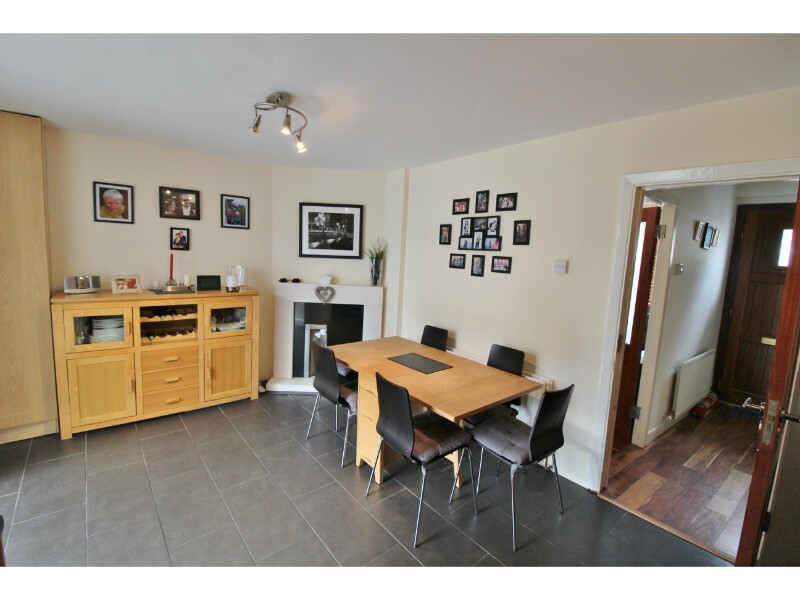 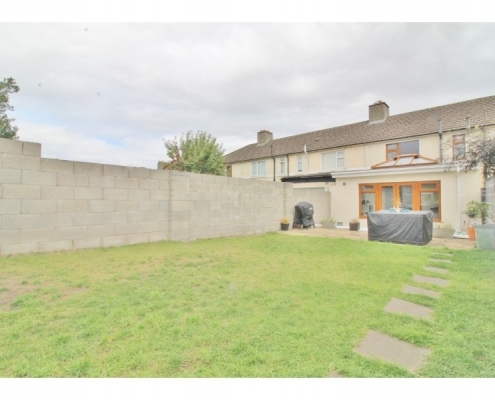 The location is simply superb being so close to Crumlin Village, Kimmage and Terenure. 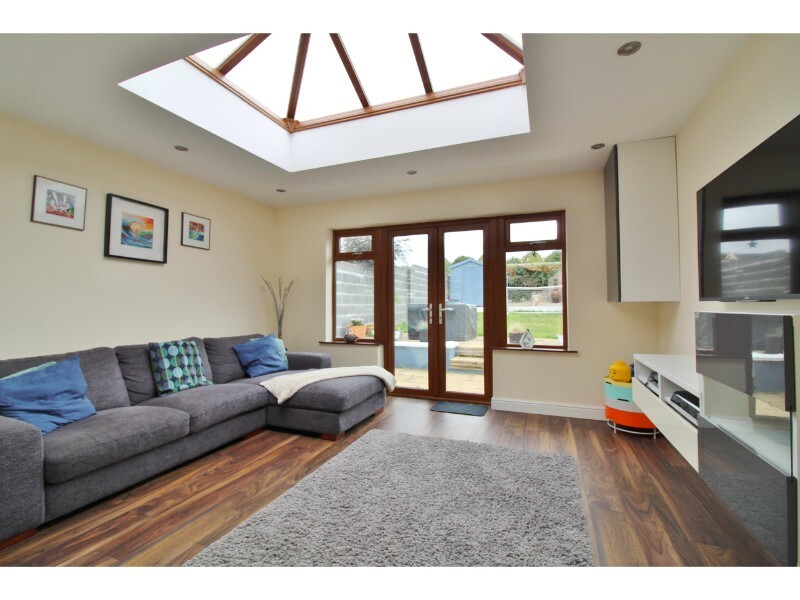 Amongst other amenities, it’s within easy reach of schools, supermarkets, the Carlisle gym, local libraries and beside Stannaway Park. 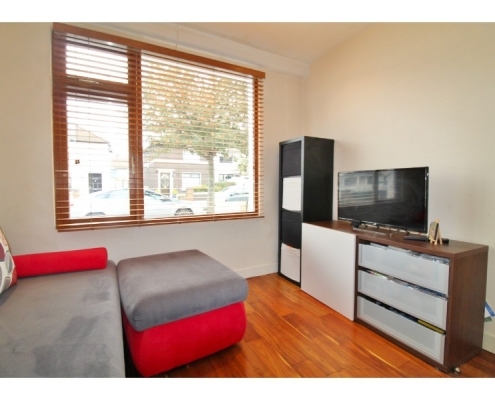 There are excellent transport links to and from the city making it easy for the commuter. 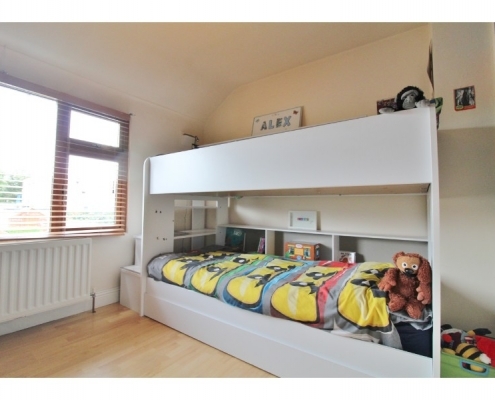 Sure to appeal too many, viewing of this property comes highly recommended! 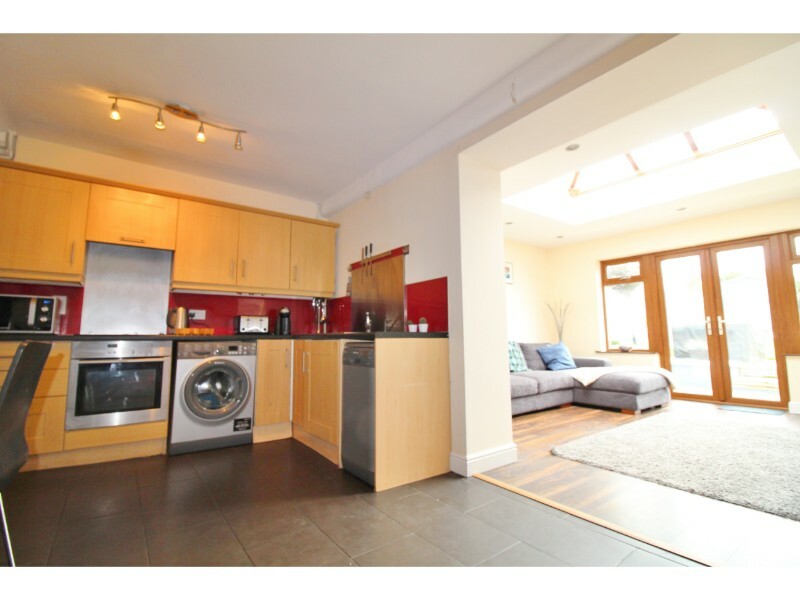 Kitchen/Dining – 3.36m x 4.89m .The kitchen features a lovely kitchen with wooden effect worktops, tile splash back and tiled floors. 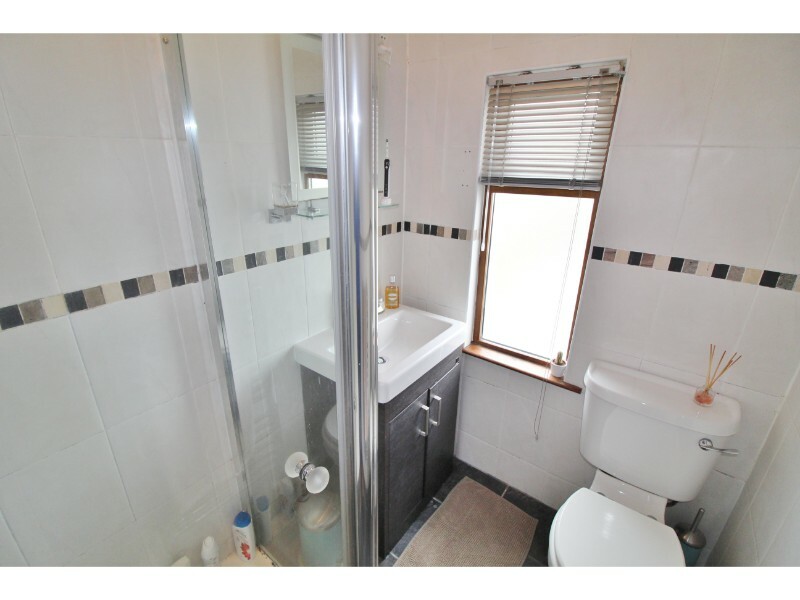 It is plumbed for a washing machine and there is spot lighting. Extension -4.29m x 3.71m walnut flooring ,with TV point,French double doors open out onto the patio area and rear garden. 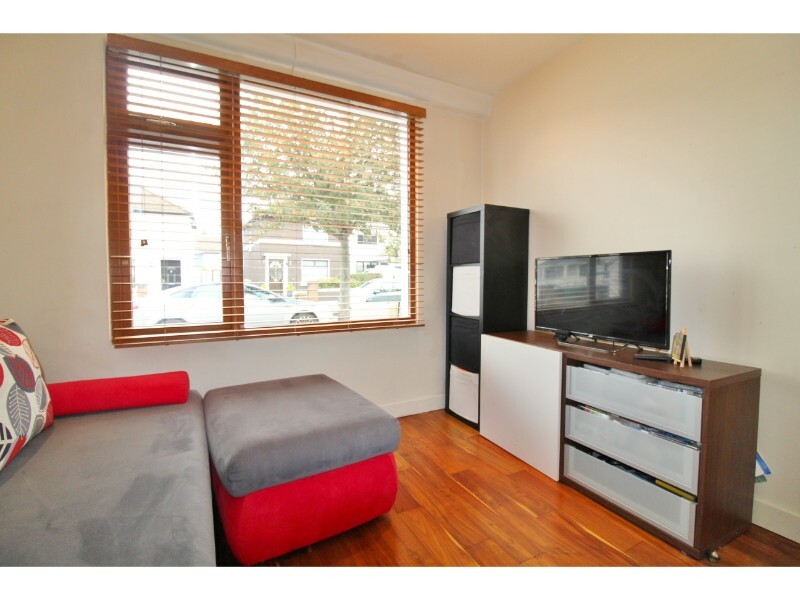 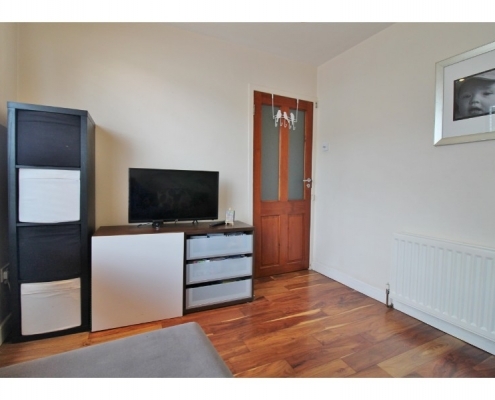 Living Room – 3.07m x 2.75m It features stunning solid oak wood floors and a television point. 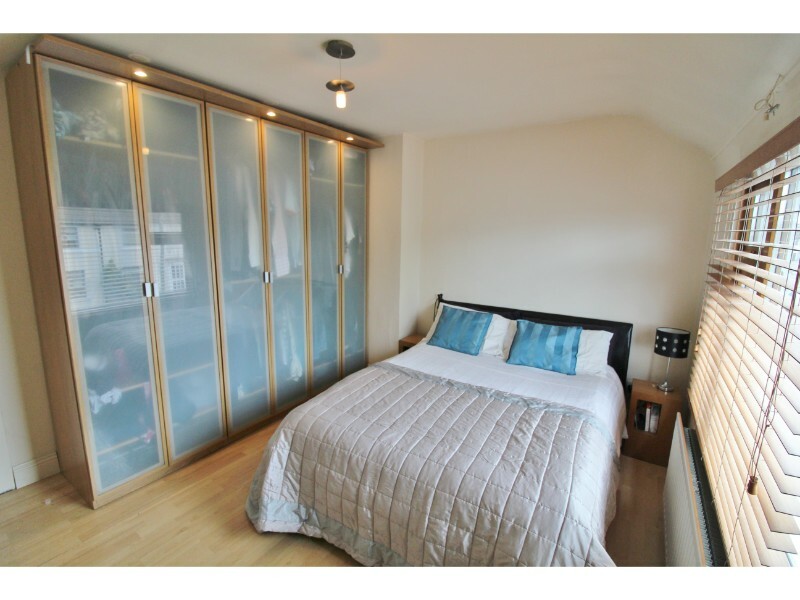 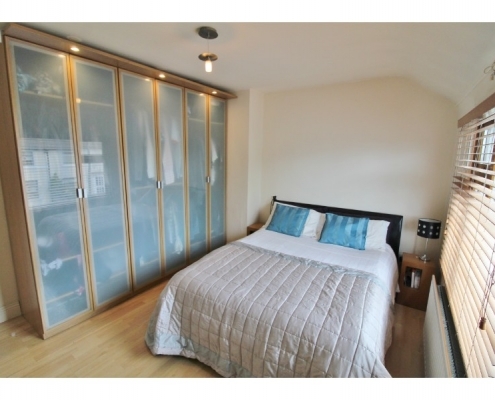 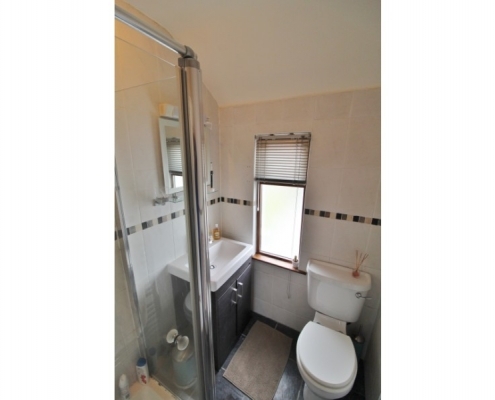 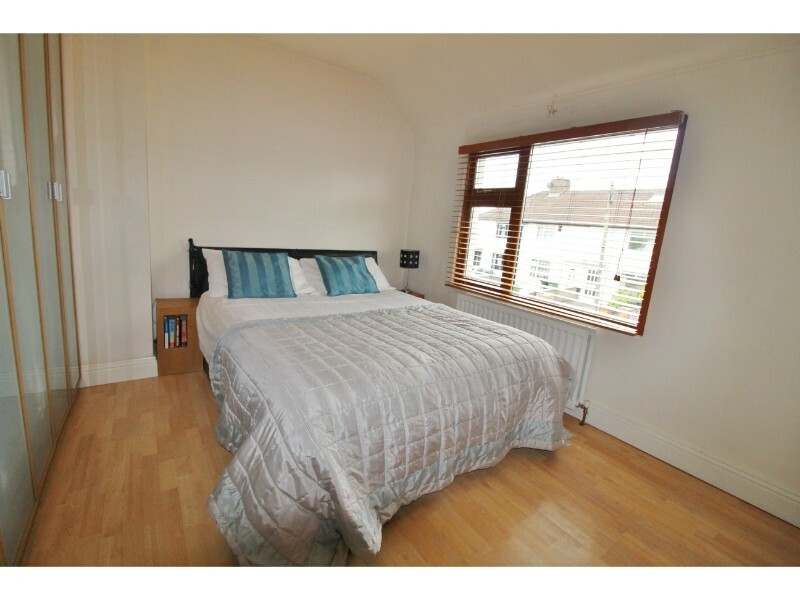 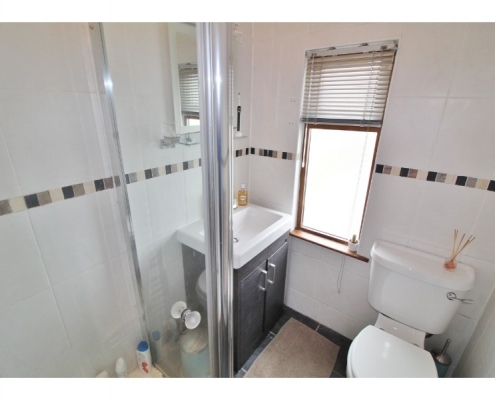 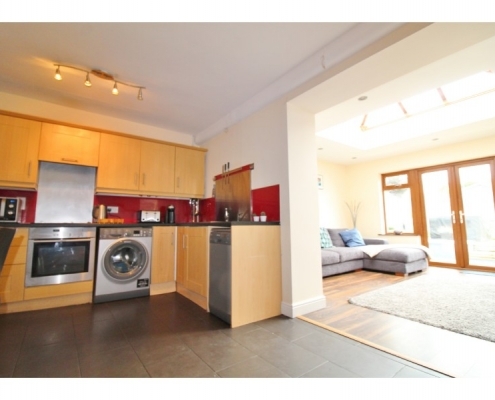 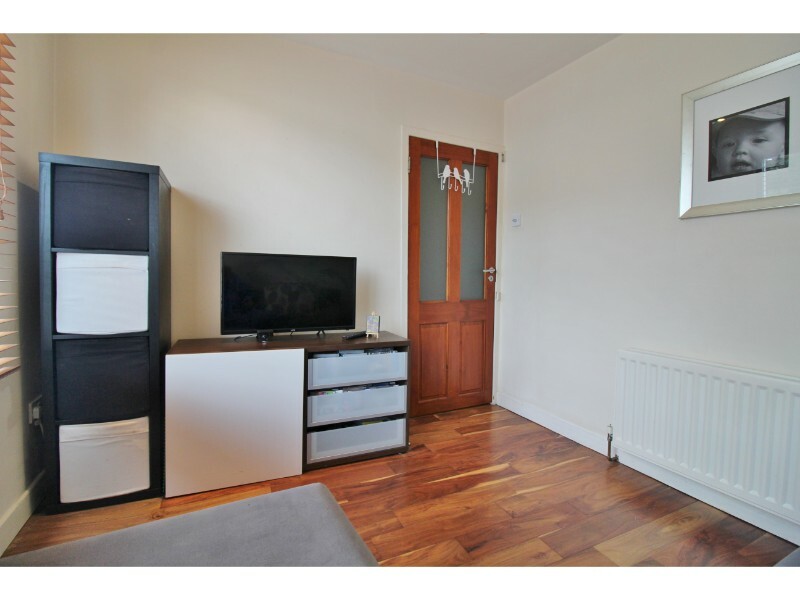 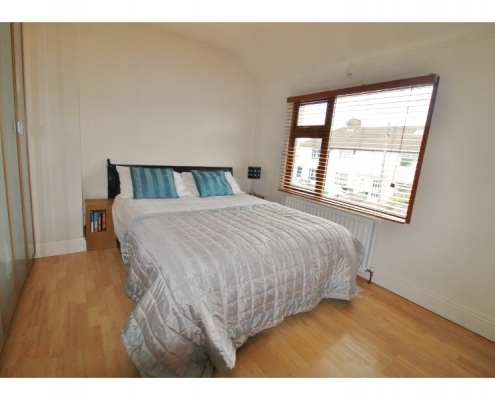 Bathroom – 1.47m x 1.88m Comprising walk in shower, W.C., W.H.B, and the room is fully tiled. 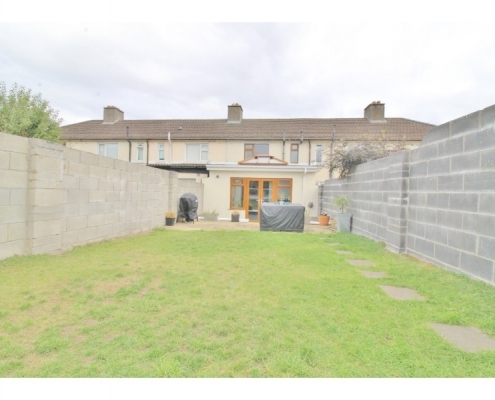 Outside – To the front there is off street parking. 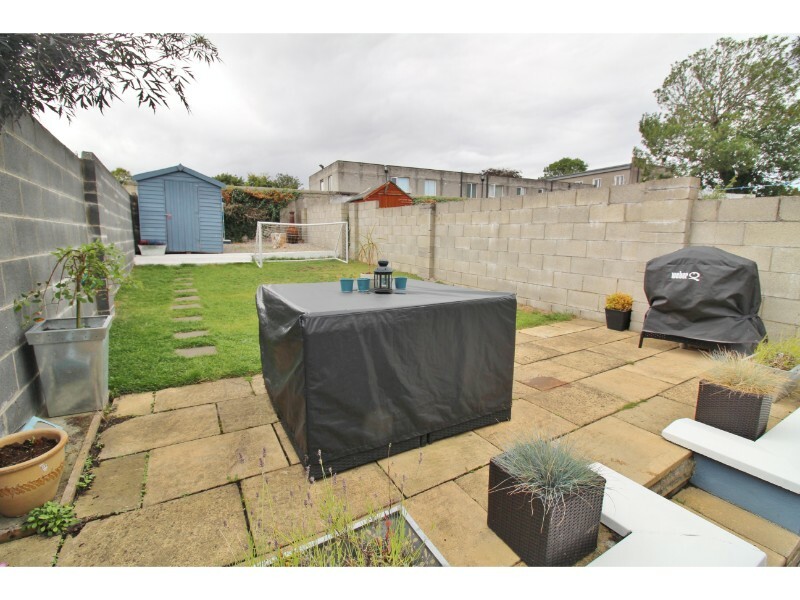 There is a glorious rear garden which is laid in lawn and features a large paved patio area – perfect for alfresco dining throughout the summer months. 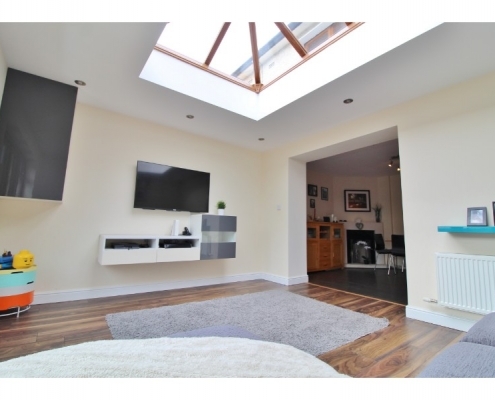 The garden enjoys an enviable south facing aspect so is drenched in natural sunlight and acts as a suntrap. 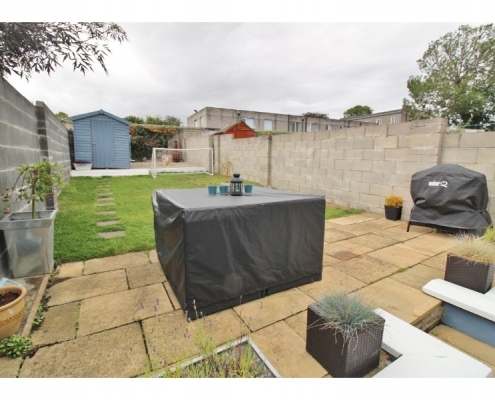 It features potted shrubbery and offers immense privacy as it is not overlooked.